Thailand Agricultural Products: Thai Hom Mali Rice (Jasmine Rice), fruits, tapioca, meat, fish, poultry, palm oil etc all available for export. There is always a debate as to what constitutes an agricultural product. So anything that once grew in a field, was harvested, then processed must be an agricultural product. Trees once grew in the forest or on a plantation so my computer desk by all rights should be an agricultural product. The underwear I am wearing made from 100% cotton....you get the idea? For now I am going to classify into three sections: Food for humans, Food for Animals and anything else that cannot be eaten. 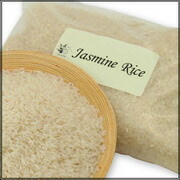 Rice and especially Thai Jasmine Ricehas got to be Thailand's number one export and so merits it's own section. Food also has it's own section Thailand Food Companies, Thai Food Manufacturers The agricultural products in this section (not in the food section) must include some of the raw food products that are later processed into food products. Tea, coffee, sugar and various fruits like pineapple and more recently oranges are raw agricultural commodities that are produced here in Thailand. 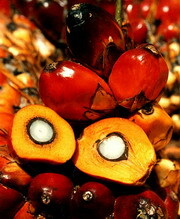 Yes they can be used in their unprocessed state or developed into food products. Some of this raw product is exported but most is used for the domestic food industry. Livestock feed is often just a by product of the leftovers from the food refining process. However some crops are grown almost exclusively for animal consumption. Tapioca and Maize are two major agricultural products here in Thailand and much is exported. If you are looking for a reliable exporter of agricultural products or food products of any kind, fresh, frozen or canned then please send me an email - bangkokcompanies@gmail.com with your requests. CKS Saha Industry Co., Ltd. Thailand Thailand Manufacturer of Tapioca Chips, Tapioca Starch, Tapioca Pellets and Animal Feedstuffs. A. R. Intermarketing (Thailand) Co.,Ltd. Ack Hydro Farm Co., Ltd.
Afrothong Rice And Commodities Co.,Ltd. Agriculture Products Industries Co, Ltd.
Ai Trading (Thailand) Co, Ltd.
Anand Vishal International (Thailand) Co.,Ltd. Anong World Wild Trading Co.,Ltd. Apinan Rice Trading Co, Ltd.
Asia & Pacific Quality Trade Co, Ltd.
Asia Coconut Fibre (Thailand) Co, Ltd.
Asia Golden Rice Co, Ltd.
Asia Modified Starch Co., Ltd.
Asia Rice Mill Industry Co, Ltd.
Asia Tech Group Public Co, Ltd.
Asian Star Trading Co, Ltd.
Asian Vacuum Coating Co, Ltd.
Asoke International Trading Co, Ltd.
Aurora Export & Import Co.,Ltd. B.B. Group Travel Co, Ltd.
Bamboo Charcoal Industry (Thailand) Co, Ltd.
Bangkok Aquaculture Farm Co, Ltd.
Bangkok Flour Mill Co, Ltd.
Bangkok Flowers Centre Co, Ltd..
Bangkok Heritage 2000 Co, Ltd.
Bangkok Inter Food Co, Ltd.
Bangkok Livestock Processing Co, Ltd.
Bangkok Premier Foods Co., Ltd.
Bangkok Produce Merchandising Public Co, Ltd.
Bangkok Rice Product Co, Ltd.
Bangkok Seeds Industry Co, Ltd.
Bangkok Starch Industrial Co, Ltd.
Banpong Tapioca Flour Ind. Co, Ltd.
Betagro Agro-Group Public Co, Ltd.
Bever Medical Industry Co, Ltd.
Boonsong Siam Land Co., Ltd.
Botanical Gardens Bangkok Ltd, Part. Bright Time Intertrade Ltd, Part. Business For Agriculture Co., Ltd.
C.P. Retail And Marketing Co, Ltd.
Cal Industry And Marketing Co.,Ltd. Capital Silo & Drying Ca, Ltd.
Centaco G.P. Farm Co, Ltd.
Chai Prasit Products Co, Ltd.
Chaiyaphum Plant Products Co, Ltd.
Chankij Tanning Industry Co, Ltd.
Chareon Chaiswad (1988) Co., Ltd.
Charoen Phant Fruits Import Export Co.,Ltd. Charoen Pokphand Engineering Co, Ltd.
Charoen Pokphand Northeastern Public Co., Ltd.
Charoen Pokphand Seeds Co, Ltd.
Chia Tai Seeds Co, Ltd.
Chiem Patana Knitting Co, Ltd.
Chin Joo Heng Co, Ltd.
Chip Heng Seng Ltd, Part. Cho Heng Rice Vermicelli Factory Co, Ltd.
Chokchai Dairy Farm Co, Ltd.
Chon Duo Yuan Interrice (Thailand) Co.,Ltd. Choom Sin International Co., Ltd.
Chumphon Rubber Industry Co., Ltd.
Chumporn Palm Oil Industry Public Co, Ltd.
Cremer Asia Trade Co., Ltd.
Dee Jay Farm Co, Ltd.
Doi Kham Food Products Co, Ltd.
E.A.C. Export Corporation (Thailand)Co, Ltd.
E.F. Fem Foods (Thailand) Co, Ltd.
E.P.C. Rice Trading Co., Ltd.
Eastern Palm Oil Co, Ltd.
Eastern Starch (1987) Co, Ltd. Excellent United International Co, Ltd.
Exim Agency And Trading Co., Ltd.
F & B International Marketing Co.,Ltd. F & E Industry Co., Ltd.
Far East Home Made Co., Ltd.
First World Import & Export Co, Ltd. Friendship Corn Starch Co., Ltd.
G.R.G. Jewel Export Co., Ltd.
General Drugs House Co, Ltd.
General Farming & Products Co., Ltd.
Get The Gift Co., Ltd.
Golden Resources Export (Thailand) Co.,Ltd. Golden Time Enterprise Co., Ltd. Golf Course Membership Center Co, Ltd.
Good Health (Thailand) Co., Ltd.
Great Ocean Rice Co., Ltd.
Guan Thai Heng Trading Co., Ltd.
Henry Butcher & Co. (Thailand) Ltd.
Heritage Cashew & Food Co, Ltd.
Hitachi Consumer Products Thailand Ltd.
Hmong Hilltribe Lodge Co, Ltd.
Home Place Group Co, Ltd.
Hong Yiah Seng Co, Ltd.
International Foreign Trade Corp., Ltd.
International Rice & Products Co.,Ltd. International Rubber Parts Co, Ltd.
International Scented Flowers Co, Ltd.
J. Charoen Marketing Co., Ltd.
J.D. Food Products Co., Ltd.
J.M. Food Industry Co, Ltd.
J.P. Rice International (1998) Co.,Ltd. J.S.P. Futures Co., L Td . Jackie's International Trading Co, Ltd.
Jefferson International Mktg Co Ltd.
K.H. Metal Products Co, Ltd.
Kamar Silver Factory And Exporting Co.,Ltd. Kampang Petch Sugar Co., Ltd.
Kang Yong Electric Public Co, Ltd.
Karnchanaburi Sugar Industry Co., Ltd.
Kaset Phaisal Rice Co., Ltd.
Kaset Phol Sugar Co, Ltd.
Kawai International Travel Thai Ltd.
Kawasaki Motors Enterprise (Thailand) Co, Ltd.
Kenmin Foods (Thailand) Co, Ltd.
Kijcharoen (Sikiew) Export Co, Ltd.
King Body Concept Co, Ltd.
Kittiwatana Hose Industry Co, Ltd.
Krohn & Co. Bangkok Ltd.
L.H. Rice International Co., Ltd.
L.P. Feeds Tech (Thailand) Co, Ltd.
Lampang Food Products Co, Ltd.
Lardbualuang Pattana Company Limited Latex Products Ltd.
Leamthong Agri Products Co, Ltd.
Lee Feed Mill Public Co, Ltd.
Lee Pattana Feed Mill Co., Ltd.
Lhian Thai Rice Vermicelli Co, Ltd.
Li-Thai Frozen Foods Co, Ltd. Lo Chin Seng Co., Ltd.
M. Maker Industrial Co, Ltd.
Mahachai Inter Trading Co., Ltd.
Mahachai Kraft Paper Co, Ltd.
Manathanya Rice Mill Trading Co., Ltd.
Marut And Khanom Siriphan Ltd., Part. Matsushita Home Appliance (Thailand) Co., Ltd.
Mekong Agriculture Industry Co., Ltd.
Mittapharp Fragrant Rice Corp., Ltd.
Mittraphap Feed Mill Co, Ltd.
Monty & Totco Co, Ltd.
Muang Thong Molas Co., Ltd.
Mui Huad Seng (Bangkok) Co., Ltd.
Multi Food International Co, Ltd.
N.Y.K. Transport Service (Thailand) Co., Ltd.
Nakorn Thai Edible Oil Co.,Ltd. Nathon International (Thailand) Co., Ltd. Nature Best Food Co., Ltd.
New Kwang Soonlee Sugar Factory Co., Ltd.
Nisshin-Stc Flour Milling Co., Ltd. Ocean King International Co., Ltd.
Oriental Jute Mill Co., Ltd.
Ow Hieb Seng Chieng Ngow Kim Ltd., Part. P & E Development Co., Ltd.
P & I D Co., Ltd.
P. Charoenphan Feedmill Co., Ltd.
P. Green Herb Co., Ltd.
P.K. Import Export & Air Cargo Co, Ltd.
P.P.L. Prime Inter Co., Ltd.
Pacific Sugar Corporation Co., Ltd.
Palmy Essen Internaional Co., Ltd.
Pat's White Rose Co., Ltd.
Patum Vegetable Oil Co., Ltd.
Phalang Thai Inter Rice Co.,Ltd. Phalung Thai Rice Trading Co.,Ltd. Piriya Thai Food Co., Ltd.
Prachuap Sugar Factory Co., Ltd.
Prachuap Sugar Industry Co., Ltd.
Prasit Satationery & Printing Ltd., Part. President Agri Trading Co., Ltd.
President Rice Products Public Co., Ltd. Pro Agritrade (T) Co., Ltd.
Quality Enterprise (Thailand) Co., Ltd.
Quick Rice And Foods Co.,Ltd. R.S. Foods Tech [Thailand] Co., Ltd.
Rice Engineering Supply Co., Ltd.
Royal Crown Import Export Co., Ltd.
S. Kunjaetong Agriculture Industry-Farm Ltd.
S.H. & Sons Co., Ltd.
Sallmanns (Far East) Co., Ltd.
Samakki Kijthanya Rice Milling Co., Ltd. Sang Thai Bang Pakong Co., Ltd.
Seng Heng Huat Seed Co., Ltd.
Seng Thong Rice (1968) Co., Ltd.
Siam Agro-Industry Pineapple And Others Plc. Siam Allied Fiber Co., Ltd.
Siam Fancy Fish Ltd., Part. 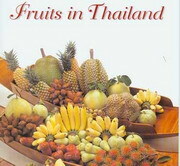 Siam Fruit Export Co., Ltd.
Siam Ka Kao Co., Ltd.
Siam Modified Starch Co., Ltd.
Siam Qualified Produces Ltd., Part. 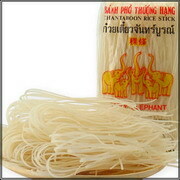 Siam Rice Trading Co., Ltd.
Siam Starch (1966) Co., Ltd.
Siam Thanya Rice Trading Co.,Ltd. Sinudom Surin (1990) Co., Ltd.
Somphol Bedding And Mattress Industry Co Ltd. Soon Hua Seng Industry Co., Ltd. Soon Hua Seng Rice Co., Ltd.
Sri Rueng Thai Co., Ltd.
Sri Trang Agro - Industry Public Co., Ltd.
Sui Heng Lee Co., Ltd.
Sun Shine International Co., Ltd.
Super J. International Co., Ltd.
T. I. D. International Co., Ltd.
Tai Lea Rice Mill Co.,Ltd. Tai Lee Rice Mill Co.,Ltd. Tanyapan International Trading Co., Ltd.
Tek Seng Rice Mill Co.,Ltd. Textile Prestige Public Co., Ltd.
Thai Bones Industry Co., Ltd.
Thai City Electric Co., Ltd.
Thai E Art Dot Com Co., Ltd.
Thai Europe Feed Co., Ltd.
Thai Feed Mills Public Co., Ltd.
Thai Granlux International Rice Co.,Ltd. Thai Hua (2511) Co., Ltd.
Thai Ka-Sed Yearnyong Exim Co.,Ltd. Thai Nichi Industries Co., Ltd.
Thai Prasit Starch Co., Ltd.
Thai Ruam Jai Vegetable Oil Co., Ltd.
Thai Rubber Band Industry Co., Ltd.
Thai Seed & Agriculture Co., Ltd.
Thai Seree Fishery Co., Ltd.
Thai Spf Products Co., Ltd.
Thai Sugar Terminal Public Co.,Ltd. Thai Thunya Rice (2000) Co.,Ltd. Thai Toshiba Electric Industries Co., Ltd.
Thai Wah Food Products Public Co.,Ltd. Thai Watana Rice Products Co.,Ltd. Thaihua Chumphon Rubber Co., Ltd.
Thapsakae Coconut Industry (1986) Co., Ltd.
Thong Thai Rice Co., Ltd.
Thye Joo Long Co., Ltd.
Tong Hua Rice Mills Co.,Ltd. Top Organic Products And Supplies Co.,Ltd. U. Sia Quality Co., Ltd.
United Feed Mill Co., Ltd.
United Grain Industry Co., Ltd.
United Rice Mill Co., Ltd.
Universal Food Public Co., Ltd.
V. Thai Food Products Co., Ltd.
Vivetch Rice Mill Development Co.,Ltd. W & P Export Co.,Ltd. Wing On Intertrade Co., Ltd.
Wing On Rice Trading Co.,Ltd. World People Foodstuffs Co., Ltd.